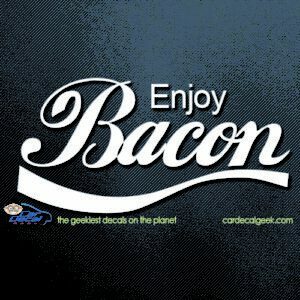 Mmmmm bacon! 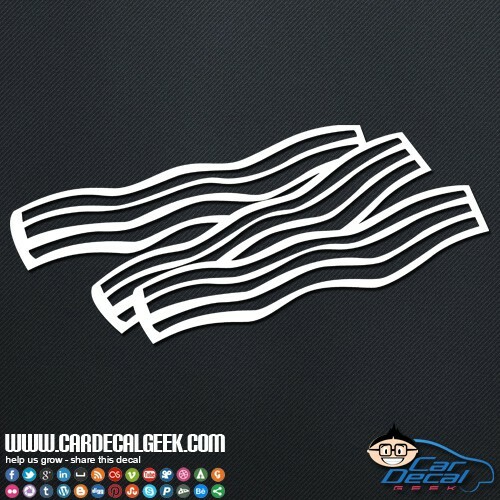 This sweet meat treat is freaking delicious, and we know that there are millions of bacon lovers out there that want the world to know that they are bold and daring enough to put all health and medical information aside and stuff their faces with delicious bacon! 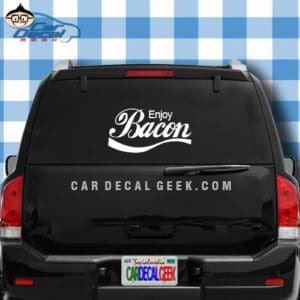 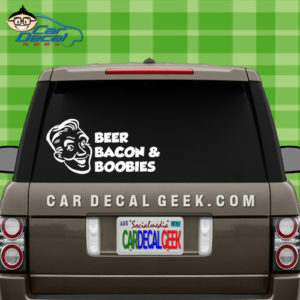 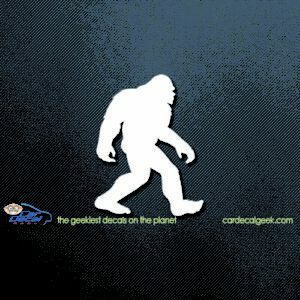 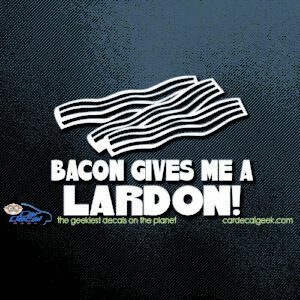 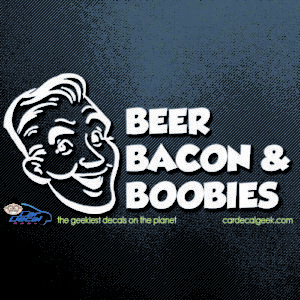 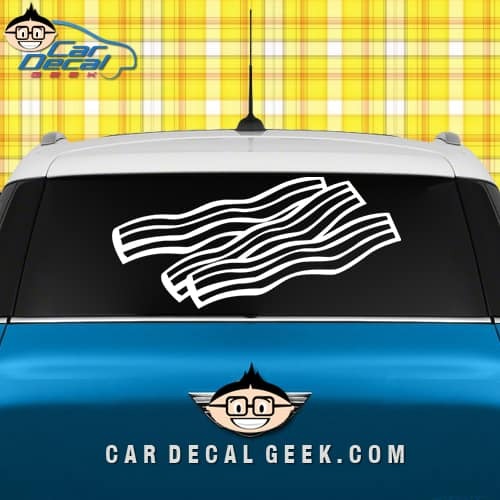 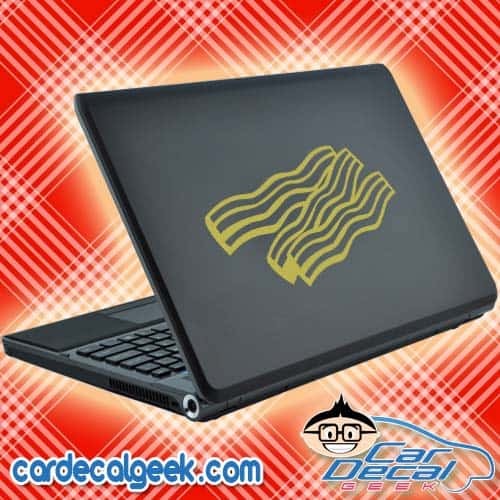 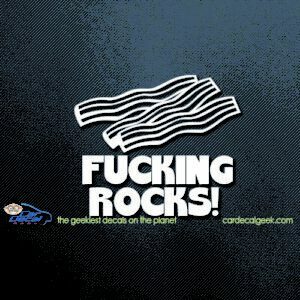 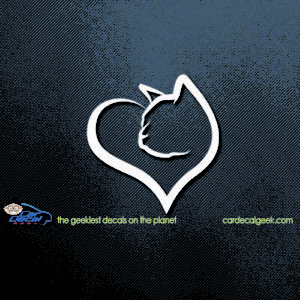 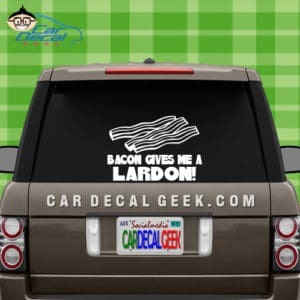 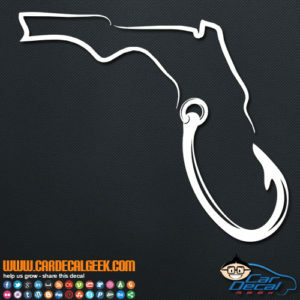 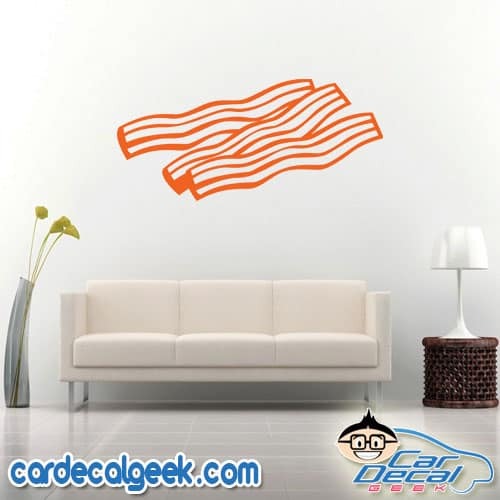 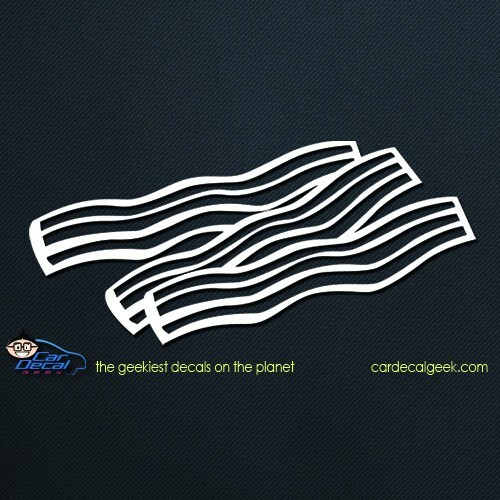 Slap on some bacon car decals stickers now!